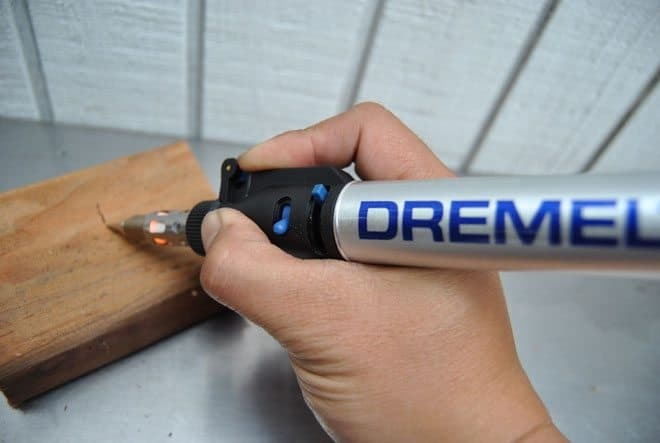 The Dremel VersaTip butane soldering torch (along with the Dremel VersaFlame) is opening up a new category for Dremel as they look to take over your entire hobby tool drawer. 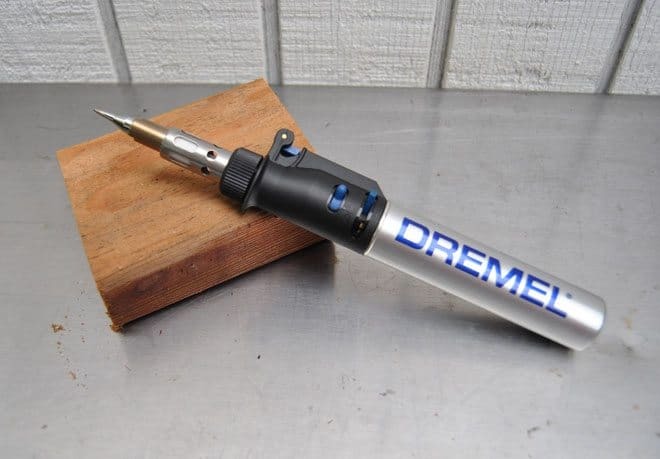 Our Dremel tools are in constant use, and this VersaTip soldering torch opens up a ton of possibilities. Once filled with butane, it will burn for up to 75 minutes at 1022° F – 2192° F. That’s hot enough to accomplish a ton of tasks including, soldering, melting, hot cutting, welding, shrinking, pyrography, and paint removal. It fits easily in your hand and the precise soldering tip is easy to control. The convenience of having a cordless soldering tip is huge and we can’t wait to have more fun with pyrography as we enjoyed burning this logo for the Webby Awards last year. 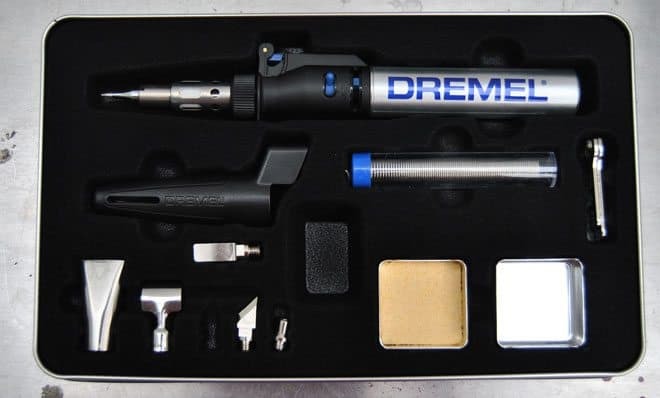 The Dremel VersaTip comes in a 14 piece kit that offers 7-in-1 capability.